Another week, another record broken. 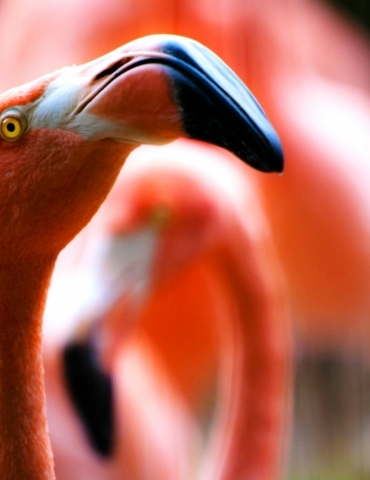 That’s a day in the life of the Guinness World Records. There is a Guinness World Record for just about everything, from the most Big Macs consumed in a lifetime to the largest collection of rubber ducks. The organization that bills itself as the preeminent global authority on world records strives to “make the amazing official.” By drawing upon the entire range of superlatives available in the English language, Guinness World Records help people realize their potential—and win bragging rights for their accomplishments. 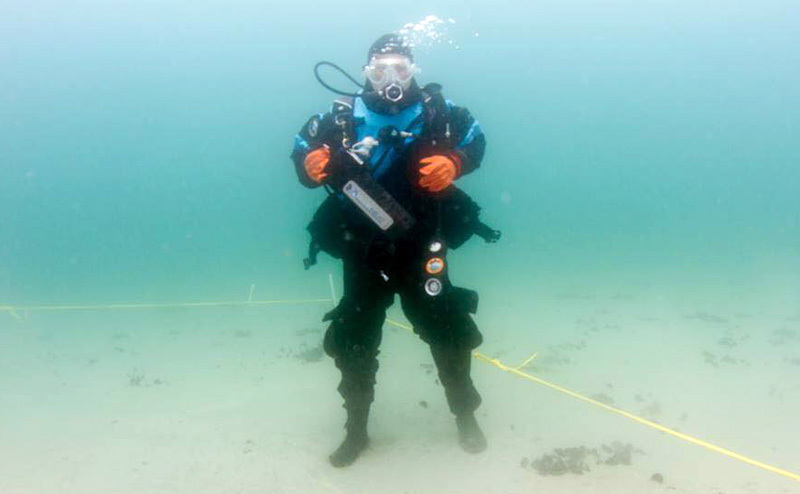 It seems that every year brings so many new record attempts in the fields of scuba diving, many of them successful, that we thought it would be useful to take stock of what the current records are and who holds them. 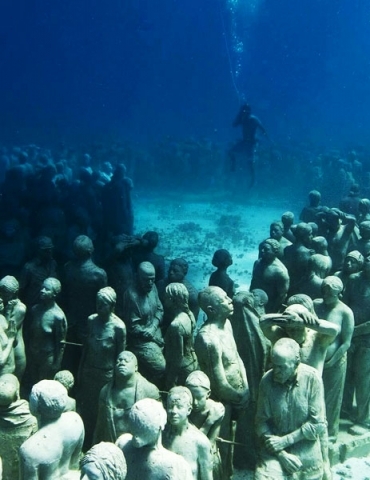 Here is a list of the most interesting current world records of interest to divers, recognized by the Guinness World Records organization. 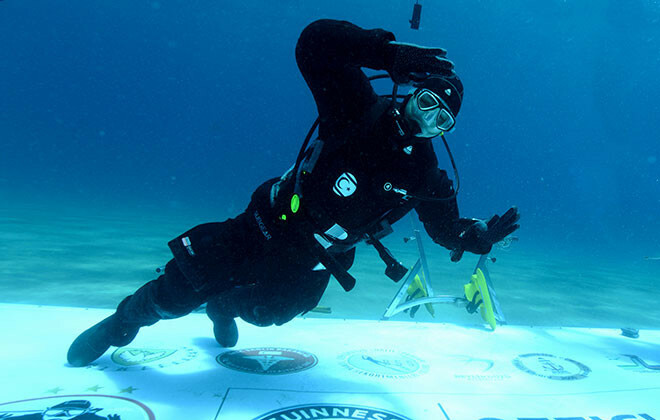 The most recent scuba diving-related Guinness World Record was set on Saturday June 17th, 2017 in Florida. Pavan Arilton, of Dixie Divers in Deerfield Beach, organized an event that saw 240 scuba divers take the plunge and form the longest underwater human chain off the coast of Deerfield Beach. 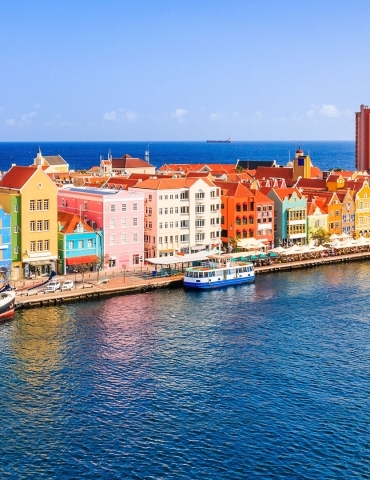 The two-day event began with an underwater cleanup with divers removing fishing nets and other waste from the underwater columns of the City Pier, a popular spot for divers and local fishermen. 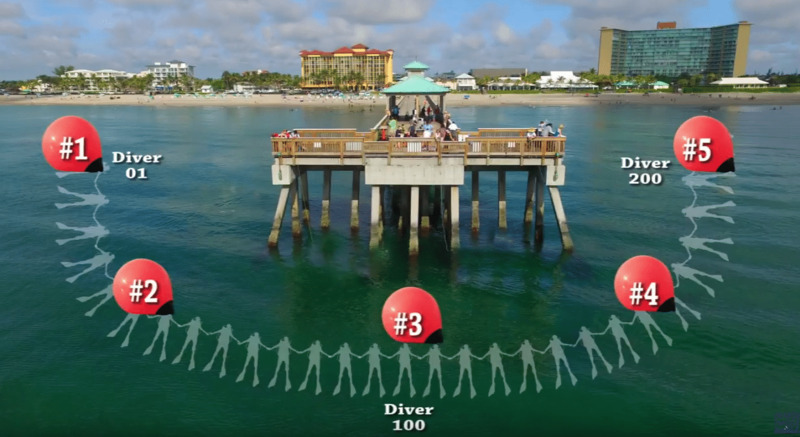 The uninterrupted chain required all participating divers to hold hands or lock arms as they formed a large arch around the pier, beneath a series of 3-D buoys. The Florida divers easily surpassed the existing record of 182 divers off the coast of Thailand, which was set at the end of 2016. Watch this video of the event featuring some epic drone footage, shot by US Aerial Services. 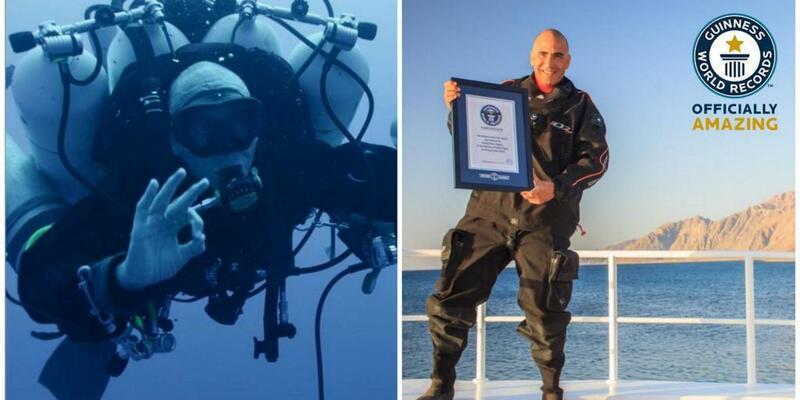 The current record for the deepest scuba dive was set on September 18th, 2014 by Ahmad Gabr, a 41-year old Egyptian dive instructor, when he successfully completed a dive down to 332.35 meters/1,090 feet 4.5 inches. 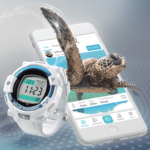 A Turkish diver named Cem Karabay broke his own record for the longest open saltwater scuba dive after spending nearly a week underwater at a beach on the island of Cyprus in July of 2016. Karabay was submerged, using open-circuit scuba gear, for 142 hours, 42 minutes, 42 seconds—equivalent to just under six full days. Karabay and his team devised novel methods for meeting his basic food and water needs during the dive, and dive buddies joined him to play games of football and checkers to help him pass the time. Karabay is no stranger to long-haul dives, as he also holds the record for the longest scuba dive in an enclosed environment. To achieve that record, he spent 192 hours, 19 minutes, 19 seconds inside a pool at the Activity Plaza of Cadde Bostan in Istanbul, Turkey in October 2011. Cristi Quill of Australia holds the equivalent longest open saltwater dive record by a woman. Quill, an Australian who lost her mother to breast cancer, conducted her record-breaking dive to raise money and awareness for the ‘Putting Cancer Under Pressure’ campaign. Quill stayed below 5 meters/15 feet using closed-circuit scuba equipment with no connection to the surface for an amazing 51 hours, 25 minutes off the shore of La Jolla beach, near San Diego, California. Watch the video of Cristi’s dive here. 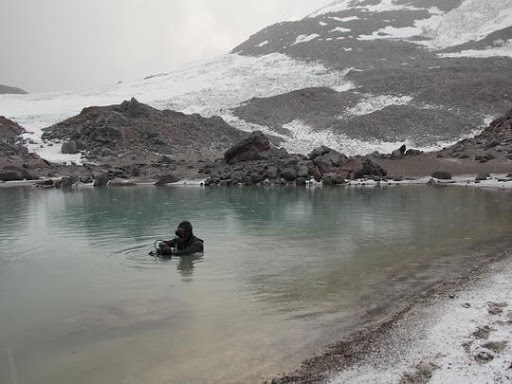 The record for scuba diving at the highest altitude dive site is held by Ernő Tósoki, a Hungarian scuba diver and mountaineer, who dove at Ojos del Salado, an active volcano straddling the Argentina-Chile border. It is the tallest volcano on Earth. Tósoki dove into a permanent lake that sits on the eastern side of the volcano at 6,382 meters (20,938 feet) above sea level. He is the first person to successfully complete a dive above 6,000 meters (19,685 feet) in human history. 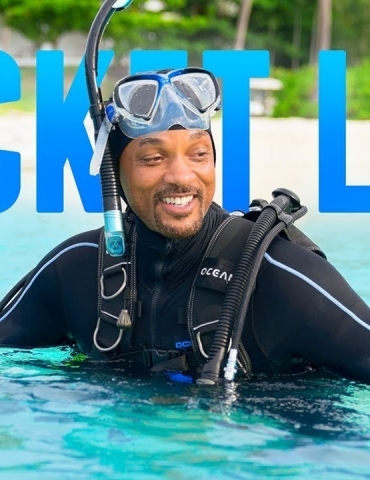 Although the dive itself lasted only ten minutes and at a normally laughable maximum depth of 2 meters/6 feet, achieving this record was exceptionally strenuous given the unforgiving conditions and unknown effects of diving at such a high altitude. Tósoki completed his goal with only one support team member, with whom he carried all of the diving, communication and medical equipment necessary for the expedition. 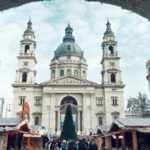 Here is a video, in Hungarian, about the dive. 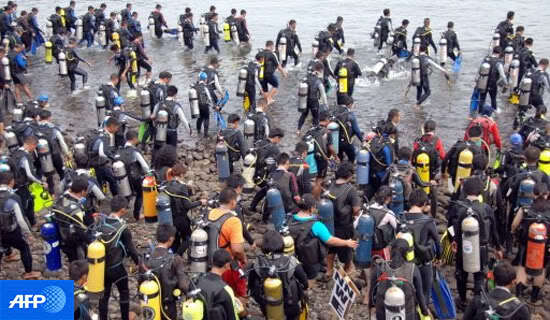 The Indonesian Navy organized an event at Malalayang beach in Manado, Indonesia in August of 2009 that brought together 2,486 divers to dive simultaneously and set a new Guinness World Record for the most people scuba diving at once. Divers were divided into 50 groups and had to wait in long lines before they could descend to the target depth of about 15 meters/49 feet. The participants more than doubled the previous record, set in the Maldives in 2006, when 958 divers took part in a massive group dive. #6 Oldest Scuba Diver: UPDATE! The world record for oldest scuba diver was reclaimed by nonagenarian Ray Woolley when he surfaced from a 44-minute dive off the coast of Cyprus in August. At the age of 95, he’s broken his own record for the second year in a row, and plans to go back next year at the age of 96. Woolley has been diving for 58 years. Read more about the record-breaking dive here. PrevWelcome to the “Elite Fleet,” TUSA!